A gallery of photographs taken of me and friends shooting bows and arrows. Photographing them while they shoot gives me something to study: the way they line up their shot, the strain in their back and shoulders as they pull back the bowstring, the look of focus. This study is diverse and entertaining. Do you shoot? Or do you just photograph? I do occasionally shoot. (That's actually me, in the second photo.) You can find me in the girls' section of this gallery. Where do you normally shoot? 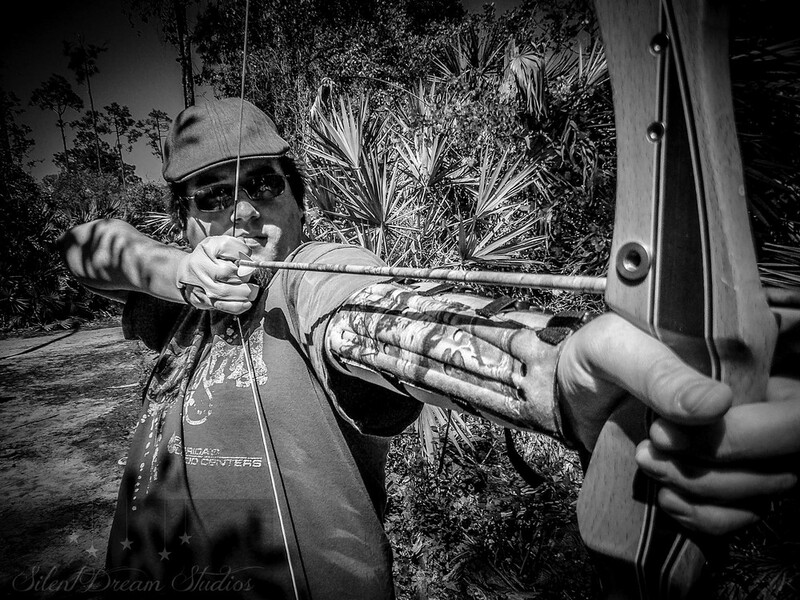 There is an outdoor archery range at Wickham Park, in Melbourne, Florida. It's usually peaceful, and it's free! Paper targets, balloons, things of that sort. We NEVER shoot wild animals or hunt game.